The parents of one of the twentieth century’s most famous artists, Ondrej and Julia Warhola, lived in the village of Miková in the Medzilaborce region (before seizing the opportunity to emigrate to the US in 1914 and 1921 respectively) and, once settled in Pittsburgh, Pennsylvania, they gave birth to a son, Andy – who, as most of the world already knows, subsequently became the world’s most renowned exponent of Pop Art. And this connection helped give this unlikely spot one of Eastern Europe’s most important art museums. The Andy Warhol Museum of Modern Art, celebrating twenty-five years of existence in 2016, is a veritable Pop Art shrine, with several original works exhibited. It’s Europe’s biggest collection of Andy Warhol originals, too: indeed, only the Andy Warhol museum in Pittsburgh itself can claim to have more. The connection between Medzilaborce and groundbreaking art might very well have been, in the first instance, tenuous. Miková, for starters, is almost 20km outside Medzilaborce (the town’s odd name, by the way, derives from its location between (medzi, in Slovak) two sources of the Laborec river). Andy Warhol was not born in Medzilaborce, anyways, or anywhere in Eastern Slovakia for that matter, and even his parents wanted to leave when they got the chance. “I am from nowhere” Warhol himself once said. And this shabby small town is a good candidate, if ever there was one, to epitomise nowhere. Nevertheless, there is evidence to suggest that the artist’s attitude towards his roots was not solely one of renunciation. Warhol’s brother John is reported to have said that just before his death, Andy, aware that John was returning to their parents’ erstwhile Slovak home, asked him to make for him “as many photographic shots… of Miková village and local people there” as he was able. Who knows? Photographic shots could, had Andy lived long enough, have led to paintings. Paintings could have led to the artist reconnecting with the ‘Slovak’ in his blood. As it was, Warhol died in 1987. But within four years, John Warhola and others had made the connection anyway, when this art museum in Medzilaborce opened its doors in 1991. There is a surreal hiatus for the just-arrived Medzilaborce visitor, however, after the initial impressions described above, and that is when one pulls up at the car park outside the museum and properly gets the chance to see what a remarkable building this is: even irrespective of the valuable art within. Emblazoned in Pop Art shades of cyber yellow, purple, grey-blue and carnelian red, with brash deck-chair-striped semi-hexagonal protuberances, it certainly contrasts starkly with the town’s over-riding hues of unabashed stuck-in-the-Communist-era concrete grey (occasionally interspersed with those still-ghastlier vomit-like pastille colours sometimes used to psychologically brighten tower blocks post-1989. Meanwhile, up through parkland on the other side, the museum is flanked by the majestic pravoslávny (Eastern Orthodox) church of the Holy Spirit, rearing up like a multi-tier wedding cake in brilliant white, and with the writing above the entrance written in Rusyn – the Cyrillic language of the people which have their cultural identity stamped all over this part of the country, and whose heritage has as much in common with Ukrainian as Czechoslovakian (Warhol’s parents, indeed, were of Rusyn descent). A bright red Skoda, the main automotive output of Communist Czechoslovakia, crushed by a huge weight, welcomes visitors at the entrance (read into that whatever defiance of the regime you will). On reception, a bored-looking girl hands me cool postcards decorated in the museum’s symbol, a psychedelic likeness of Warhol wearing a hat shaped like the church outside the doors, and ushers off the only other attendant, a much older lady, to open up all sections of the museum in readiness. There is something comical in all this – a visitor showing up to look round an attraction and startling the staff out of their catatonic stupor by so doing, then having an elderly babka (grandmother) scuttling ahead of me turning on the Velvet Underground soundtrack up on full volume to get the tour started, flicking the lights of each successive wing of the exhibits to illuminate the larger-than-life likenesses of Andy, then slinking back round to the doorway by which I had entered to observe me guardedly. To begin with I ascend a wide staircase headed up by a statue of the man with camera hung in ever-readiness to snap shots around his neck (now the tables have turned full circle and he is the one who is ‘snapped-after’, I think) to where there is a touching montage on the Warhol family’s early (and very tough) life. This section is mostly presented in sepia, and it clashes most poignantly with what comes next – two vibrant, open rooms filled with Warhol’s originals alongside other Pop Artists such as Roy Lichtenstein and Jean-Michael Basquiat, plus sketches by Andy Warhol’s mother (artistic genius ran in the family quite clearly, as she was a talented embroiderer). Campbell’s soup cans, Marilyn – all the iconic works are there in some form. In total there are over 20 originals by Warhol here, including two of those soup cans, and perhaps most poignantly given the location of the exhibition, the the artist’s portrayals of Lenin and the Hammer and Sickle. There are several pictures from his endangered species series too. The extent of what Warhol achieved, coming from such humble origins, is powerfully portrayed: Warhol’s journey from monochrome to dazzling colour, from the obscure east of Czechoslovakia to stardom in the States. One could take the analogy further: the story of the museum’s founding was a controversial one; it, too, struggled to ever see the light of day, and it took some strong supporters, including the playwright-president of the new post-Communist Czechoslovakia, Václav Havel, to make it happen at all. It would be easy for a museum like this to allow tumbleweed to start blowing. Hardly anyone comes here – which given the world-class art on display is a truly incredible statistic in itself. But not only is the museum laid out with a modern vision, with love and with attention to detail, it also works on embellishing its collection. The most recent additions were Warhol’s Hans Christian Andersen set of pictures, as well as the artist’s depiction of US Senator Ted Kennedy, and an eye-catching series of portraits by the enigmatic female street artist, Bambi (her Amy Winehouse picture particularly impresses) which more or less continue in the same vein of celebrity sketching where Warhol left off. And when a barely-decent amount of time has passed, the babka is switching the lights off again behind me (no other visitors expected today, it seems), plunging these wonderful exhibits back into darkness again for who knows how long? ADMISSION: 3,50 Euros (adults), 1.70 Euros (children). 6am. We set off as the sun begins to break through the mist cloaking the steep slopes of the beech tree-clad hills and climb up into the Poloniny National Park, a wild 300 sq km tangle of upland forest in the far east of Slovakia abutting the frontier with Ukraine. The valley slowly narrows. Once or twice we pass a lone border control guard, leaned against his vehicle and starting with surprise as our engine breaks the early morning silence. A fat-bellied white stork almost hits us, too, as does a horse and cart carrying a family of Roma, but for the most part, the road is quiet. After the border village of Ulič, fields flanked by sheep (a rarity to spot in Slovakia, despite the nation’s shepherding traditions), and hay bails quaintly twisted around a stick by hand rather than by machine, as well as a fair few more horse-and-cart drivers are signs that this part of the country ticks to a slower and more traditional beat. Brutalist architecture made few inroads into the time-trapped villages hereabouts and the landscape feels softer, greener, more beguiling. Even the forests are far less managed. In fact, the beech forests of the Carpathians (of which Poloniny National Park comprises a significant part) are so renowned for their virgin nature (meaning no forestry is practiced and the ecosystems are among the world’s most intact) that Unesco has added them to their worldwide list of protected sites. In Nova Sedlica, the start point for our hike, the brightly-painted houses with their wooden outbuildings have smoke curling into the sky from back-garden bonfires, and a stream babbling through their midst. We stop off for a presso (strong, sludgy Communist-era coffee) alongside a party of gloomy Czech hikers, then head up the lane which ascends the valley to the final ridge of hills before the EU gives up the ghost for good. At a bus stop proudly proclaiming it is “the last” the lane kinks left, passes an occasionally-open ranger’s hut selling hiking maps and then that’s it: no more dwellings before Ukraine looms up. What follows is one of Europe’s most superb and fascinating forest hikes. About a kilometer above Nova Sedlica, we branch off the metalled track on a red-arrowed sign pointing steeply up to the right: a gruelling initiation to this 22km circular hike. Red is top dog as far as categories of trail in Slovakia go and the route remains on red-marked and well-marked trails all the way up to Kremenec on the tri-border with Ukraine and Poland (at approximately the half-way point). The path rises up to a basic lumber yard at 525m of elevation (presumably just outside of the national park boundaries) then sheers up through forest that certainly feels just as primeval as the sporadic information boards claim it to be. The main point of note is at the ridge of Temný Vršor at 838m where two further boards urge you to rediscover the balance with nature that humans often lose in everyday life: but in all honesty little urging is required. I am already lost, and already contemplating the fact that brown bear, wolf, lynx and bison regularly roam this area. In few other locations in Europe can quite so many of the continent’s “big” mammals be found in such close proximity or in such numbers. It’s a thought that gladdens, rather than frightens me. It’s not just the sea of forests swooping away in all directions underlining the extent of this wilderness: it’s the wildlife too. It’s also, unfortunately, a less savoury side of human life: people traffickers are also known to take advantage of this isolated region to smuggle clients into the perceived sanctuary of the European Union. It’s as the path shimmies down to a potok (mountain stream) that makes for a good picnicking point that we understand the consequences of Poloniny being Unesco-protected: when trees fall here, they are left fallen to rot, and whilst the trunks regularly obstruct the route, they are all contributing to the richness of the flora and fauna here (nigh-on 6,000 recorded species all told). We are heartened to find the route, as it zigzags through the trees on the final climb to Slovakia’s eastern border, marked by small posts depicting brown bears: had they not been there, a straying off the beaten track into zones where actual bears hung out would have been a distinct possibility! “It’s hard to find trees this thick any more” my hiking companion, Freddie, who has called this part of the world home for the last twenty years, tells me. His trade is in oak flooring, and he travels far and wide to find trees of the girth that Poloniny has, because commercial forestry sees them felled decades before they have opportunity to grow up as splendidly as these forests. A steep scramble, and we are there: the Štatna Hranica, or state border, with a small (old, Communist-era) sign warning that it could be dangerous. In common with Slovakia’s other borders that lie within the depths of its dense forests, there is a few metres of cleared trees, so that the view opens up invitingly to reveal the mist-swathed mountains of western Ukraine, and otherwise? Otherwise there is no change between Slovak forest and Ukraine forest. There is not even a fence, or the remains of one. Nothing to prevent people from walking out, or in (although I am assured that concealed in the nearby tree branches is plenty of the multi-million Euro sophisticated monitoring equipment we read that Slovakia’s eastern EU border has been fortified with, the only man-made thing I can see is a bunch of intertwined sticks presumably left by a creative hiker as a small tribute to the no-man’s land on which we now stand). Our route turned sharply left at this point, and after a moment of contemplation upon what this land once signified or signifies, we embarked on the final thigh-busting climb along the Ukraine border up to the obelisk of Kremenec, at 1220m, and a tough three-hour tramp from Nova Sedlica. 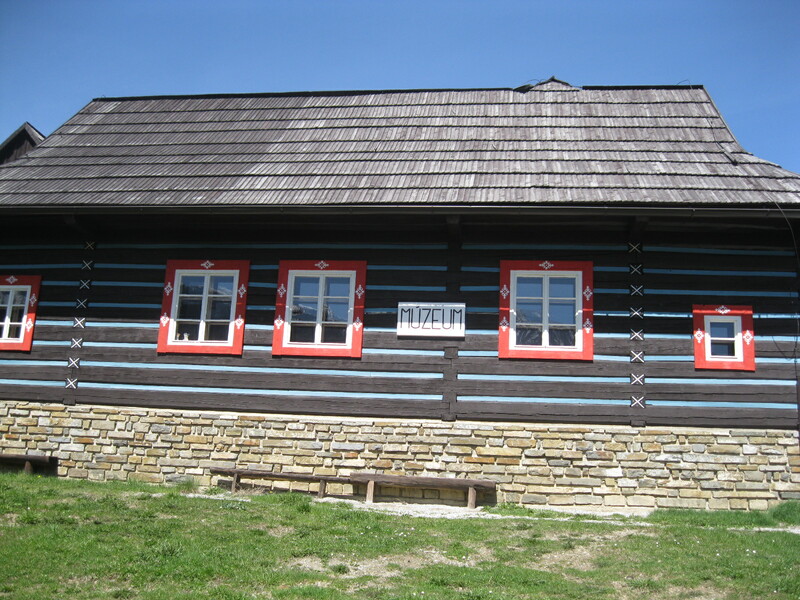 Three gaudily decorated posts in the colours of Slovakia, Poland and Ukraine rise out of the forest clearing and Polish and Slovak hikers sit around picnicking: a somewhat sedate period, one thinks, for a territory which has conventionally marked Europe’s outer edge, and endured traumatic times a-plenty as a result. We take a seat next to one of them, a long-haired man who attracted our attention as he overtook us on the climb up for doing this fairly demanding hike in bare feet, and with only an apple for sustenance. He’s just getting up as we collapse gasping next to him, but has these words for us before he leaves. Profound words. And ones Freddie opens his mouth to debate. But before he can, the man, point made, has continued calmly on his way. “Upstaged by a man in bare feet” Freddie sighs. Our route heads west (left) from Kremenec, no longer following the Ukraine border, but the Polish one, and initially on the red trail still via some open ground replete with fabulous bunches of blueberries. From a tor here, a vista of the hills on the Polish side rears up before the path plunges to Čiertač and the relentlessly steep yellow connector trail to Nova Sedlica. As the forest plunged back into the meadows surrounding the village, we pass a party of locals, a little the worse for wear after an extremely boozy picnic. One ox of a man, clad in a pair of rather soiled dungarees and very little else, appears particularly wasted. Often, there are dramatic contrasts evident at borders. But on the border between the EU and Ukraine, there is mainly just nature. Some slivovica-tanked villagers, some intrepid hikers, and one man who did not think much to Capitalism, sure. But primarily the beech trees, undulating off in hues of green and, further away, grey. Which makes you think in a slightly different way about this continent we have chiselled out for ourselves. GETTING THERE: There are trains every two hours between 10.40am and 6.40pm from Humenné, on the direct line from Košice, and Stakčin. Taking the train usually gives you an hour and a half’s wait in Stakčin during which time you can grab a bite to eat at the very pleasant Hotel Armales (the hotel is a 7-minute walk northeast of the train station and the bus stop, confusingly called Železničná Stanica, actually a 4-minute walk south-west.) From Stakčin buses take one hour and 15 minutes to wind up the valley to Nova Sedlica. NEXT ON THE JOURNEY: From Nova Sedlica, on the eastern edge of the EU, it’s either on in to Ukraine or back 65km west to one of Eastern Slovakia’s best craft brewpubs, Pivovar Medved in Humenné. I always prefer the road less traveled, so I was delighted to discover that Košice, eastern Slovakia’s economic and cultural epicenter, remains almost entirely devoid of tourists. Despite strenuous efforts to reinvent itself as a vacation destination, the city is still, as Wikitravel sums it up so neatly, “a place not often visited from elsewhere.” Intrigued, I managed to convince my husband that it should be the next stop on our train journey through the region. Walking up Hlavná ulica (Main Street), we soon stumbled across one of Košice’s most ambitious civic projects, the Singing Fountain. This is a large, flat network of pipes, from which water alternately trickles, gushes, or shoots thirty feet into the air, in rhythms roughly synchronized with piped-in music ranging from Ave Maria to Feelings. At night, coloured lights pulse in time with the water and music — a sort of Trevi Fountain meets Saturday Night Fever. At first the Singing Fountain struck me as garish, tasteless, and a total waste of public funds; in fact, I laughed outright when I saw it. But I have to admit it grew on me. My husband and I soon joined the locals happily sitting on nearby benches, eating ice cream cones, and watching the water dance. Feeling a local viewpoint might help us appreciate the city more fully, we engaged the services of a bright, enthusiastic guide-in-training named Veronica. She introduced us to such points of interest as the late fourteenth-century Tower of St. Urban (honoring the patron saint of wine growers), the Plague Column (commemorating victims of the plague that lasted from 1710 to 1711), and the bronze sculpture of a shield with lilies and half an eagle (celebrating the fact that in 1369 Košice became the first European city to be granted its own coat of arms). We strolled together along Main Street, which houses freshly restored Gothic, Renaissance, baroque, and Art Nouveau buildings along with a bare minimum of Soviet-era monstrosities. We saw inviting cafés, a few upscale restaurants, and a rambling, quirky museum of local history, culture, and science. The city had everything you’d want in a tourist destination — except, of course, actual tourists (which can, of course, be a blessing). One of my favorite buildings was the vast Gothic cathedral, which happened to be dedicated to my own patron saint, St. Elizabeth of Hungary. At fourteen she was wed to Louis IV, Landgrave of Thuringia, and began devoting herself to feeding the poor and tending the sick. This naturally brought her under censure from courtiers who were afraid she’d drain the nation’s treasury to keep its humblest citizens alive. One day, while taking bread to the destitute, Elizabeth was confronted by suspicious nobles, who demanded to see what she was carrying. When she opened the folds of her cloak, a shower of roses fell out. That’s her most famous miracle, the one depicted on the little plaque that hung on the wall of my bedroom throughout my childhood. But my favorite was the one where she brought a leper to lie in the bed she shared with her husband. At this, the ladies of the court set up such an outcry that the king came running to investigate. When he flung back the bedclothes, King Louis supposedly saw not a leper but Christ himself. And meaning no disrespect, I have to say that any wife who can convince her husband that the strange man lying in their bed is actually Jesus … that is a true miracle. Elizabeth’s cathedral was built in high Gothic style and bristled with gargoyles, one of which resembled the wife of the builder, Štefan. While working on this glorious edifice, Štefan went home each night to be harangued mercilessly by his nagging, drunken, foul-mouthed spouse. Goaded beyond endurance, he had a gargoyle carved in her likeness, so she would spend the rest of eternity having her mouth washed out whenever it rained. And wouldn’t you love to know what Mrs. Štefan had to say about that? According to local legend, the cathedral once housed an actual drop of Christ’s blood. “Some men came and took it away,” Victoria told us. “I don’t know where it is now.” Having seen Raiders of the Lost Ark, I assume it’s in a warehouse next to the Ark of the Covenant. This seems a pity, as a sacred artifact of that magnitude — real or fake — would certainly help with the city’s efforts to attract tourists, especially if the PR department leaked a few rumors about miraculous cures. Another great marketing opportunity lost. Even without any miraculous blood, Košice was fun to visit. I felt lucky to catch the city at that golden moment after charming civic improvements have been made (for the city’s stint as one of the European Capitals of Culture in 2013) but before the city had become flooded with tourists – something that, with the fabulous array of annual festivals now taking place, doesn’t seem so far off. 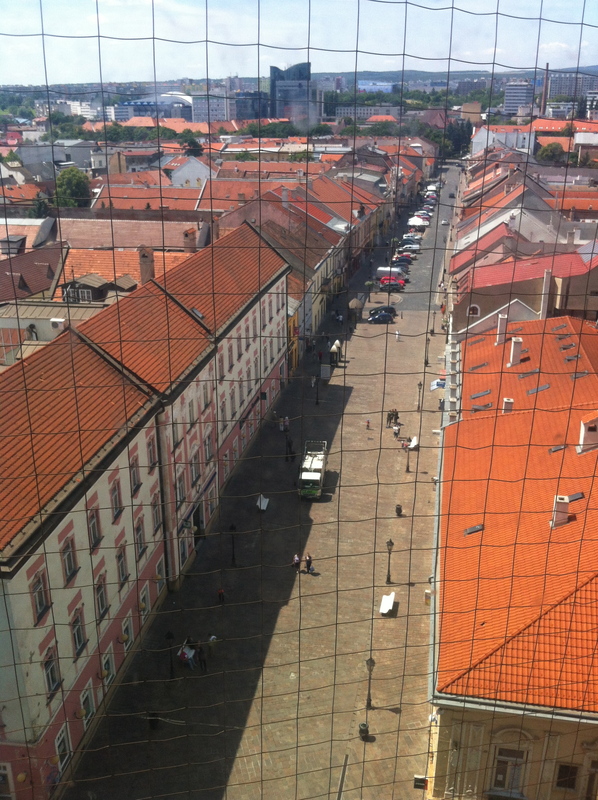 Whatever happens in the future, Košice is well worth a visit now. Karen lives in Seville, Spain, where she writes the Enjoy Living Abroad travel blog and has published three other books about travel and expat life. 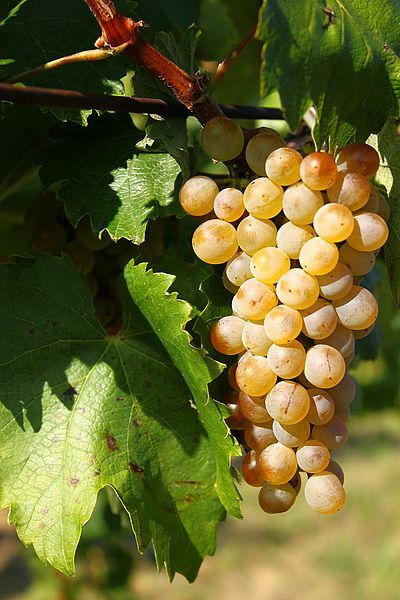 NEXT ON THE JOURNEY: From Košice’s Old Town centre it’s 57km southeast to Malá Trňa, heart of the fascinating Tokaj winemaking industry. When I am newly arrived in a town I do one of two things. I might look for a cafe or restaurant, nothing fancy, ideally a bustling joint where locals slurp away on coffee or wolf down cheap but good set-lunches without ceremony, a place where no one really cares who the stranger at the corner table might be, a place where you can sit unhassled an hour or so – order something simple and imbibe. I might do that. Otherwise, I’ll go searching for that town’s high point, a place to survey it all from and get bearings, a place to relish the state of having ARRIVED rather than being in the uncertain, draining state of GETTING THERE. 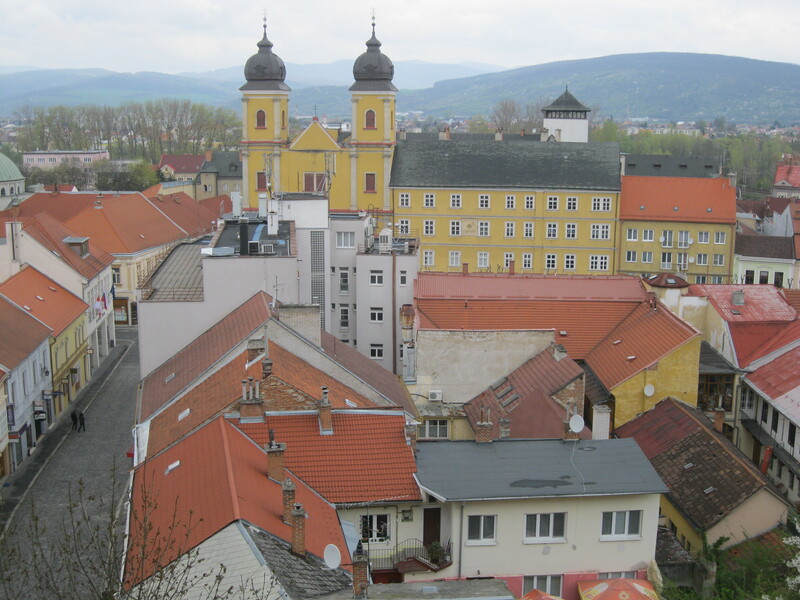 When you are in Slovakia’s big eastern metropolis of Košice, clambering to the top of the main church, Dóm svätej Alžbet, or St Elizabeth’s Cathedral is the best way of fulfilling arrival strategy 2. Built between the 14th and 16th centuries, this is an impressive building: it’ll make Bratislava’s St Martin’s Cathedral seem tame in comparison. 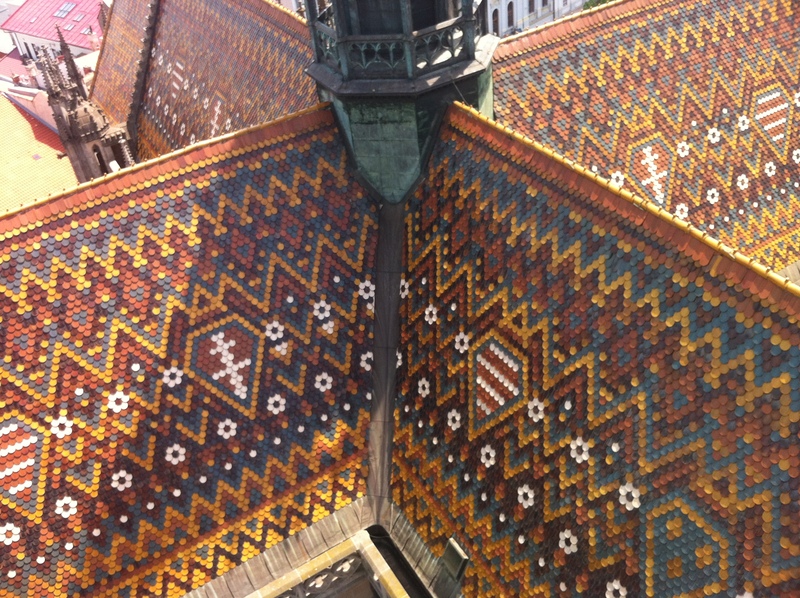 The accolades and the stat-breakers pile up: Slovakia’s most elaborately decorated church, Slovakia’s biggest church… More striking even than the Gothic decor is, as far as the interior is concerned, the double-spiral staircase, with two intricately intertwined sets of steps in opposing directions. But, the frescoes, sculptures and crypts of the interior are not the focus of this post. Plenty of info exists on each painting and stage of the cathedral’s development. 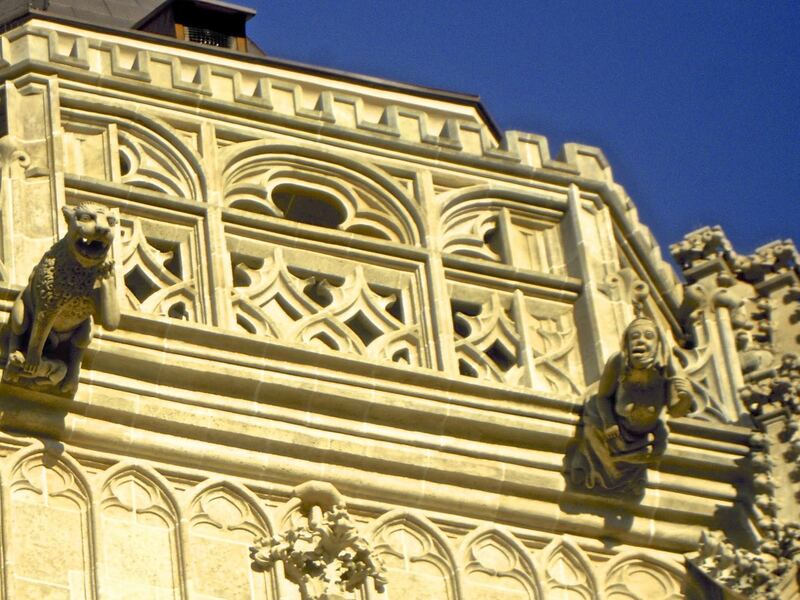 Obviously (you may have guessed) this post is about climbing up to the top of the north tower for a view over the city that rivals the viewing gallery of the UFO in Bratislava for Slovakia’s best city vista – and at considerably less cost. Whether someone is there to collect your entrance fee or not at all is a bit of an uncertainty. Usually, it’s some old, bent lady who awakes from her catatonic stupor to croak out about the tons of gold and other jewels used on the roof. She’ll collect the 1.50 Euro entrance fee if she’s there, but try the heavy-set door (just to the left of the entrance to the main cathedral) in any case: it will often yield! The steps are incredibly steep and worn with the heavy footfalls of yore as you ascend to several antechambers and, above, the bell tower itself. Above the bell chamber again and you come across the fascinating display on the hlaznice – the city guardians who, in centuries gone by, tarried up here for hours and even days to watch out over the city perimeter for would-be foes on the approach. Up an even steeper flight of stairs and then, via a wooden ladder, you come out on the flimsily-fenced-in peak of the north tower. Round-the-clock views out across the city and the hills beyond unfurl before you. But the wooden churches are – at least where Europe is concerned – a far more niche thing. They are consigned to a remote area along the borders of far-northeastern Slovakia, southern Poland and western Ukraine. 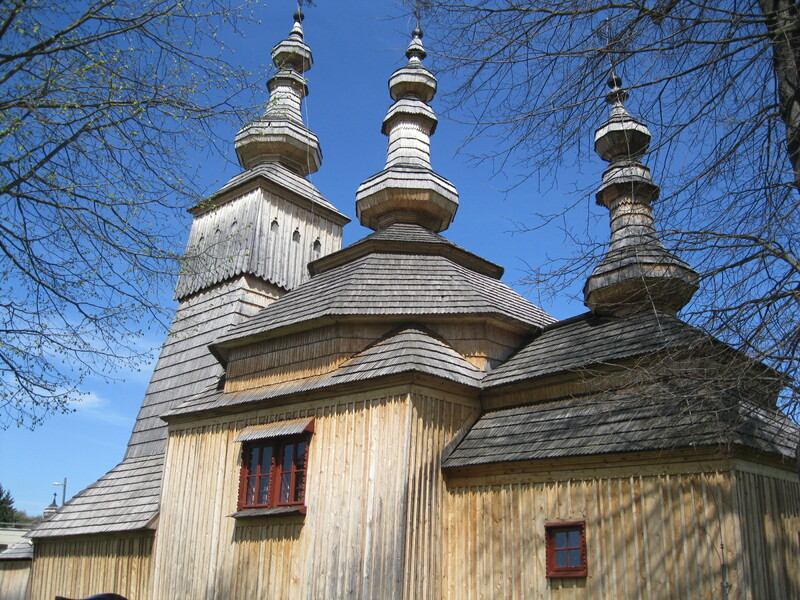 Slovakia’s wooden churches are Unesco-listed – a testimony to where western Christianity meets more eastern religious persuasions (the 27 churches scattered through the remote countryside here represent Catholic, Protestant and Greek Catholic Faiths). The striking aspect of each is that they are put together without a single piece of metal: not even a nail. 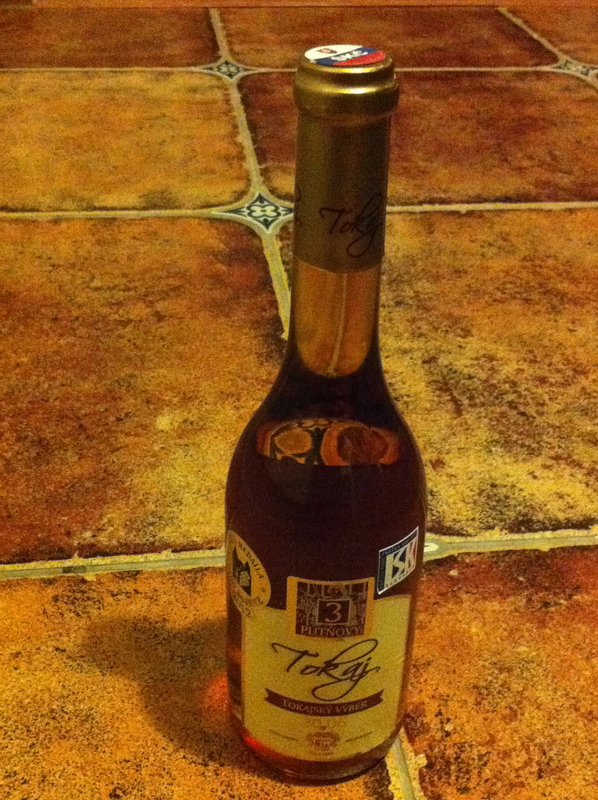 The fine interior decoration looks as gold and silver as the real thing – but once again, it is wood. These masterful works of architecture were built in the 17th- to 19th centuries, and each one is singular in its design. We leave this site to go into more detail – which it does better than any other on the web – it is not the purpose of this post, as we have said, to rewrite what is written elsewhere. But the reality with most of the wooden churches is that they are hard to find (rarely, if ever signposted), in remote rolling countryside far from major public transport connections and only open by appointment (the appointment is generally made through the designated key-keeper, of which there is one per church, usually some old babka who will not speak any language other than Slovak). And so – to those with limited time and no wheels of their own – Slovakia’s uniquest attraction remains frustratingly off limits. Fortunately, a handful of these churches are accessible without too much difficulty. 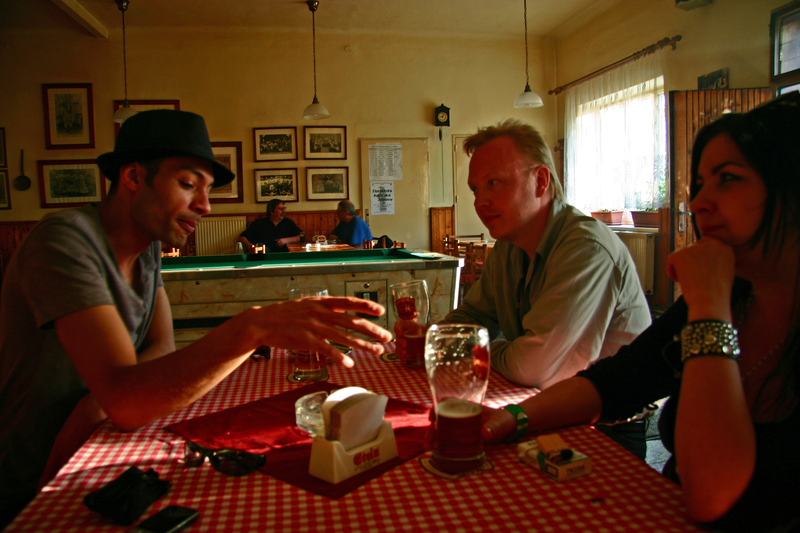 First of all, you need to get to Poprad, which is served by direct daily train from Bratislava (4 hours) and Košice (1 hour) every 1.5 hours, and by direct flight from London Luton. From Poprad Tatry train station, it’s a short walk to the bus station from which buses depart at least every 30 minutes for the 30-minute journey to Kežmarok. As for Hervatov above, first of all, you need to get to Bardejov. 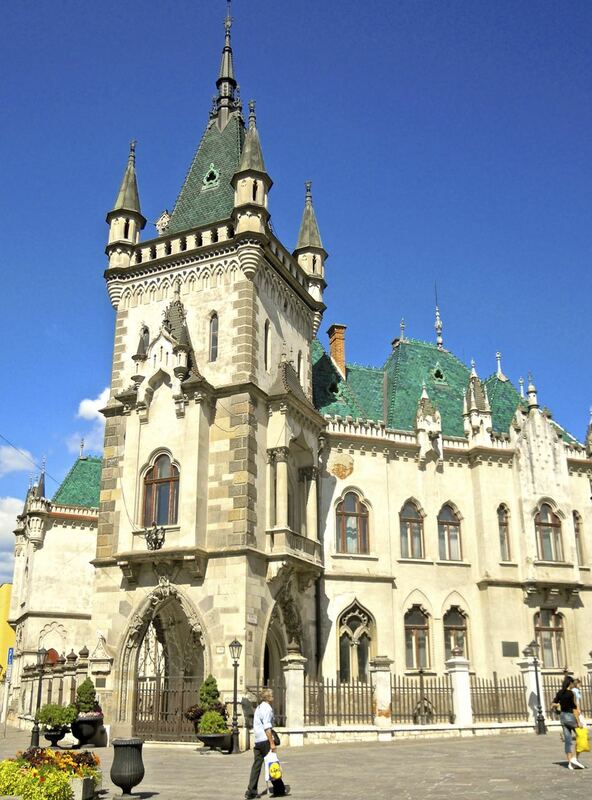 For this, Košice is the nearest big city that foreigners are likely to have on their itineraries: it’s a 4.5 hour train ride (every 1.5 hours)/one-hour direct daily flight from Bratislava or there is a 2-hour direct daily flight from London Luton. From Košice bus station (next to the train station) buses run every 40 minutes to Bardejov (1 hour 55 minutes). From Bardejov town centre, buses head out to Bardejovské Kúpele about every 20-30 minutes. The journey takes just five minutes. Košice is a 4.5-5-hour train ride (every 1.5 hours)/one-hour direct daily flight from Bratislava: there is also a 2-hour direct daily flight from London Luton. On the map just above, as you can see, it’s an easy 10-minute walk from the railway station to the East Slovak Museum. Feast your eyes on these outstanding examples of religious architecture and – if your appetite is whetted for more – then maybe it’s time to consider the slightly more complicated, but also more adventurous trip out to the remoter wooden churches that lie in the extreme northeast. There are 27, remember: give yourself a few days if you want to see al of them. MAP LINKS: Individual map links are provided above. GETTING THERE: Ditto: in the individual sections above.